Did someone say, “Parrot competition?” Winning your money back on your last order has never been easier! One customer will get a FULL refund, from us at Parrot Essentials, on their last order placed online! To be entered to WIN, all you need to do is place an order between the 19th Feb – 20th Mar 2018. That’s it! 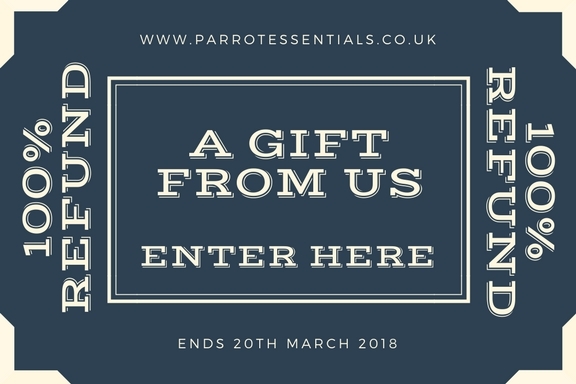 Parrot Essentials will draw for our Parrot competition winner on March 21st, 2018 and refund one lucky customer their money back, no matter the value! Make sure you sign in or register for an account on our website! Good luck!